Robby Burns was born and raised in the small mountain town of Mt. Shasta, CA, where his passion for alpine snowboarding began at a young age. A 25 year old graduate of the University of Idaho, holding 2 Bachelor of Science Degrees, he has pursued that passion full time and now has his eyes set on the 2018 Winter Olympics. With that goal before him, he is committed to rigorous training both on and off the slopes. In the off-season, he has been an integral member of the Shasta Lake Interagency Hot Shot Crew, fighting wildland fire for the U.S. Forest Service. He also enjoys spending quality time with family and close friends who are his biggest fans! Having success in the Nor-Am races, he jumped headfirst into International Competition during the 2015-2016 season, competing in several World Cup Events. His best finish was 29th at the World Cup Finals in Winterburg, Germany. 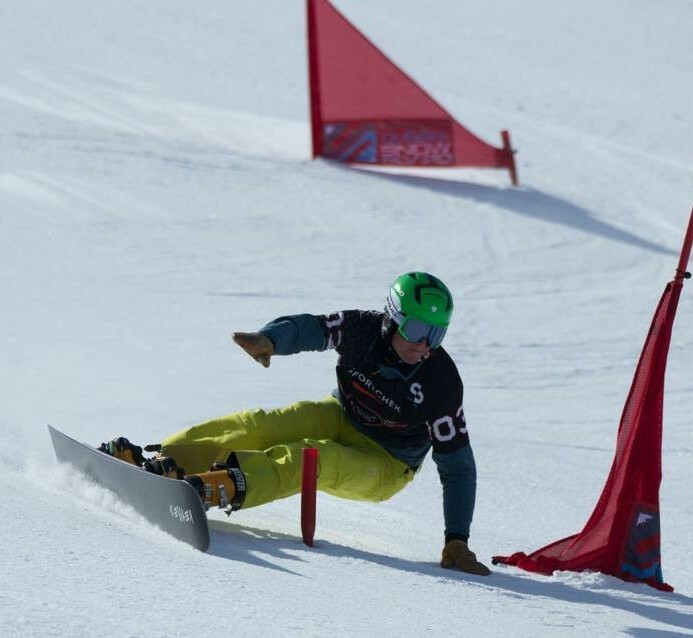 Robby is determined, motivated and excited to be a part of the USSRT, believing that this is just the beginning of his career as a professional snowboarder. His enthusiasm for the sport is evident by the hard work, kindness and generosity that he brings to the table.